All proceeds support the Campus Kitchen at Gonzaga, a CCE Program that provides 3,000 meals every month to after school programs, low income seniors, and homeless shelters in the Spokane community. 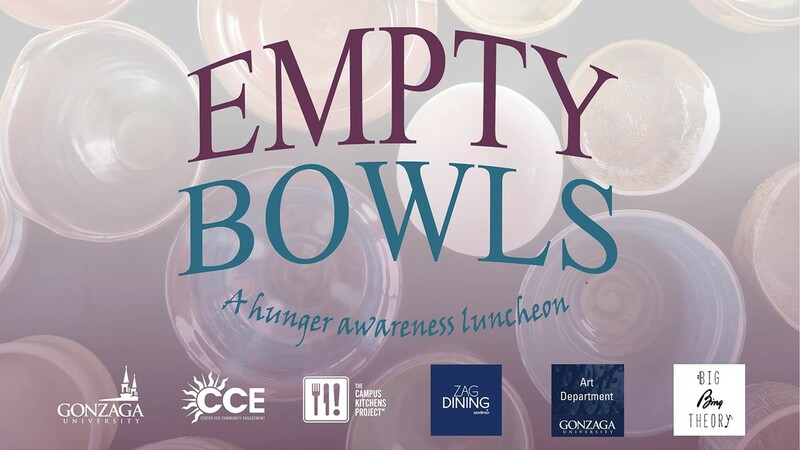 The event features handmade bowls from local artists, the Gonzaga Clay Club and community volunteers as well as a performance by Gonzaga's Big Bing Theory (BBT). Soup choices have been donated by Sodexo.